Reporting to the Principal Investigator at the Research Program on Children and Adversity at Boston College School of Social Work, the Administrative Manager is responsible for all administrative coordination of the program unit; manages office or department and/or plans and organizes events or conferences; serves as principal administrative contact and liaison for internal and external department or program constituencies; reviews and analyzes procedures and policies; works independently with minimal supervision in a work environment of multiple and conflicting priorities; anticipates and resolves problems, updating supervisor as needed; may train, assign and direct work of support staff, students, and temps. The Administrative Manager will work close with the Principal Investigator, Associate Director for Research, Senior Grant Administrator and all research staff to implement large sponsored research projects. Other administrative duties include serving as administrative liaison with primary sponsors such as NIH and the World Bank, coordinating and planning for annual stakeholder meetings, coordinating with the Senior Grant Administrator on the timely submission of new grant proposals, progress reports and grant deliverables, helping to prepare academic presentations for the Principal Investigator with support from Program Managers and other staff, and working with the School of Social Work and Boston College Human Resources to oversee international travel and safety protocols for the team. The Administrative Manager will be responsible for all human resource activities including the regular recruitment and screening of new full-time staff and postdoctoral fellows as well as a pool of research assistants and interns. The Administrative Manager will liaise with the School of Social Work and other schools, both internal and external to Boston College, to recruit, identify, and engage students, staff field placement students, staff summer interns, and help to secure funding and academic credit options to enhance student involvement. 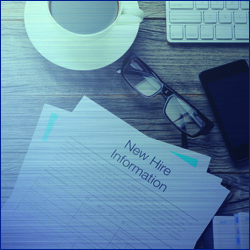 The Administrative Manager will also work closely with the Information Technology team at Boston College to support data collection, data security, data sharing and IT equipment needs across the team. The Administrative Manager will support the Principle Investigator/RPCA Director in their work with Advancement and fundraising and will also help facilitate and maintain interdisciplinary connections and initiatives across the university (i.e. Schiller Institute, annual Global Migration Conference, etc.). The RPCA is an applied research program dedicated to improving the evidence base on the epidemiology of mental health problems and family functioning as well as intervention research to develop and test mental health services for children and families affected by multiple forms of adversity, including armed conflict, poverty, and infectious disease. disseminate research findings which involves the oversight of the research program's human resources, information technology, and other administrative systems. Serve as point person for IT, compliance, advancement, HR. Handles all internal and external requests for the research program as they relate to administrative systems and staff support. Monitors and creates new administrative systems and policies to ensure continued program efficiency, documentation and institutional knowledge on the implementation of research projects and their dissemination. Ensures that travel, schedule, reimbursement, letters and logistical support to the principle investigator is adequately covered. Draft and copy edits donor reports and tracks donor deadlines working closely with the senior grants manager and Associate Director for Research to ensure deliverables are met. Tracks lab's publications and academic presentations on behalf of Principal Investigator. Manages all logistical aspects of special events, annual meetings, regular academic seminars focused on capacity building and implementation science. Drafts select correspondence for principal investigator and contributes to the preparation for academic presentations. Recruits/trains/onboards new staff, oversees intern and research assistant schedules. Monitors and responds to international security incidents that may impact RPCA staff and research projects. Organizes team events and opportunities for professional development for staff. Manages information technology systems for mobile data collection, data management and data security. The Administrative Manager may work nights and weekends in order to meet project deadlines. No travel required. This position will be based 100% of the time in Boston. administrative skills. Excellent written and oral communication skills are required, as well as an ability to build effective teams and working relationships with staff, collaborators and subcontractors in other countries. The right candidate should possess strong cross-cultural competencies as well as experience managing pre-award and post-award research projects in low resource settings in the U.S. and globally. Master's Degree in Public Health, Business, Public Administration, or other related field preferred. skills. Excellent interpersonal, analytical and communication skills. Exceptional problem solving skills. Ability to work independently and on a team. Financial management experience in a large academic environment preferred. Ability to work across departments and institutions to build effective relationships and meet deadlines. Proficiency using a variety of computer software and systems including Microsoft Office. Experience with recruiting and onboarding. talent, providing professional development opportunities to staff, and responding to performance/training issues.